As a property manager, you probably have a few tips and tricks up your sleeve or written down in your playbook somewhere when it comes to managing your client’s homes. However, we have some great tips for you when it comes to saving your clients money on home repairs and maintenance. Not only will these tips help you build better relationships with your clients, but they will also help you save time and stress. Before you begin showing prospecting tenants the property, a kitchen appliance inspection is highly recommended. Ensure the stove is thoroughly cleaned and is in top working order. If the tenant’s kitchen area feels outdated, an easy solution to updating the room might be to apply a fresh coat of paint or swap out old drawer cabinet handles with newer handles. These quick solutions can freshen up any space in a cost-effective way. Bathroom renovations can be a costly job. But they don’t have to be! One great tip to save money is to check caulking and mould in the sinks, bathtub, shower and toilets. Looking out for calcification or mould damage can protect you from rot damage in the long run. Sometimes, mould damage can occur, and that is something you will have to take into account. Imagine getting a call from the landlord, or your tenants contact you because they’ve noticed a large crack in the bathtub or shower lining. What if you’re struggling to rent out a property because the shower lining is peeling and stained? What are your options? Obviously, the crack will need to be fixed as soon as possible, and replacing a whole shower or bathtub because of peeling will be excessively expensive. Luckily, there is a quick fix solution that is cost effective that will save you time, money and stress. Inner Bath can repair the bathtub or shower when you are on a strict budget. 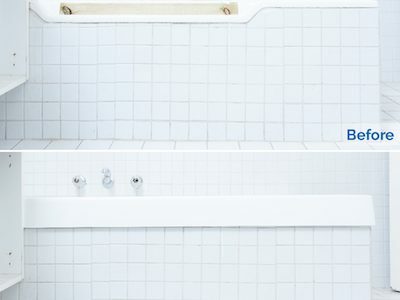 Consider the simple solution of relining the bath or shower base. Inner Bath specialises in rejuvenating bathtubs and shower bases. Inner Bath can save you hours of stress by repairing the tub or shower within 3 hours. This cost-effective solution will instantly freshen up any bathroom space with a bright white acrylic base that comes with a 10-year warranty. Simply put, it looks as good as new! Tend to the yard and cut away any large trees, vines or large plants from electrical wires. We recommend a professional tree lopper to conduct this task. By attending to the property’s yard maintenance, you will save yourself the risk from any storm damage that may cause electrical hazards or cause damage to the property. Another handy maintenance tip that many agents tend to forget about is attending to the property’s roof. Gutters tend to build up with debris and can be susceptible to mould. Check for leaks or any water damage and have them repaired promptly to save yourself or your client from any further costly damages. 4. Keep on top of it! The most effective maintenance tip for all Brisbane Real Estate property managers is to keep on top of it! Keep a check-list of all preventative maintenance jobs which have been completed in the past and which business was used to complete them. 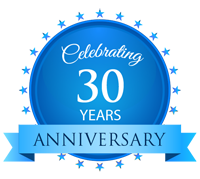 Compare which maintenance companies have the most effective and cost-efficient quotes. A good rule of thumb is always to get three quotes to find the best solution. At the end of the day, you want to ensure you maintain a good relationship with your landlord and tenants by saving costs to your landlord and stress to your tenants. By using these useful maintenance tips, you can save yourself a lot of time and stress too! Are you a property manager looking for a cost-effective and time-saving way to repair a bathtub or shower? 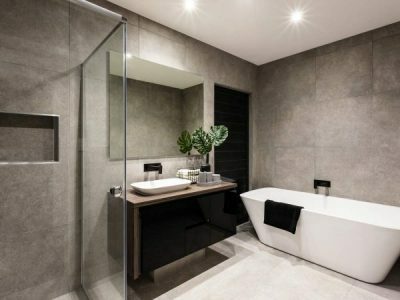 We are Brisbane’s bathroom relining experts. 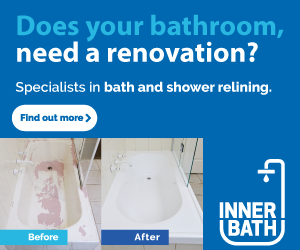 Contact Inner Bath today to get a quote!